We've seen smartwatches do a lot of things before, from notifying us about emails to checking our heart rate. 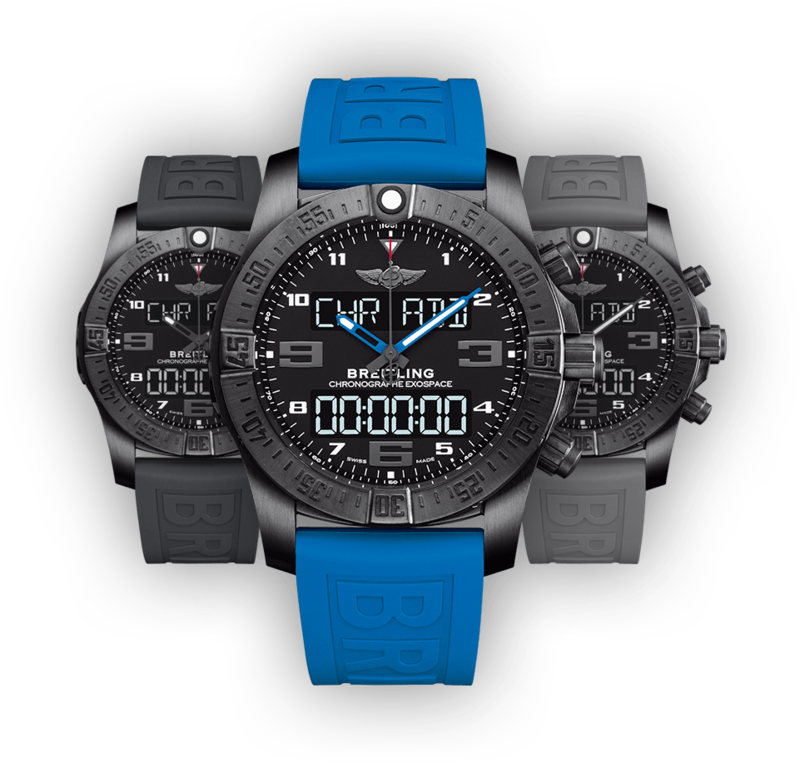 Breitling has ramped it up a notch with its new Exospace B55, a complete connected chronograph that can even be part of a pilot's equipment. The Exospace B55 connects to a smartphone—like many smartwatches do—to allow for certain critical adjustments. Time setting and time zone accounting, various alarms, operating functions and even a night mode can come into play, making the device not only easier to use while flying, but also powerful enough to deliver critical solutions. It offers display backlighting for easier readability in low-light settings, as well as SuperQuartz functionality for the best in accuracy; reports put it at 10 times more accurate than standard quartz movement. The backlighting can be manually engaged by touching the crown of the device, or by tilting the wrist back more than 35 degrees. It can display time to 1/100th of a second, and even boasts a perpetual calendar. Water resistant to 330 feet, and boasting a glare-proofed sapphire crystal display, the device is ready for harder use while still providing the clearest output. It's even been certified by the Swiss Official Chronometer Testing Institute to ensure the most accurate, clearest readouts. Those interested in picking up one of these will be able to do so from several different retailers, with presences over much of the United States; Michigan alone had several different retailers, though mostly around the Detroit area. There, the Exospace B55 was selling for around $8,900, before sales taxes. Admittedly, the Exospace B55 isn't likely to have a wide following, nor does it really need one. Selling for almost $10,000 each means the company may recoup their investment by selling a relatively low number of units. The device is also clearly a niche market masterpiece; almost no one will need or probably even use that level of connectivity and time measurement. Still, some of these functions sound like the kind of thing that could easily find a way into less costly watches; that automatic light-up when the wrist is tilted appropriately could be a valuable addition and a great way to read a watch under unusual light conditions. Given that smartwatches haven't had such a great run of luck at the consumer level, maybe it's time for this wearable to join the head-mounted display as a largely professional tool. It's a device that screams “luxury market” at the top of its lungs, but the Exospace B55 will likely be very appealing to its target market of wealthy private pilots who want top-notch function with an extremely small footprint. Few others will be interested, or can even afford, such a device.